Leonard Paul Mathews was born to the union of Curtis and Elizabeth Mathews on August 4, 1928. Paul, as he was commonly known, grew up in Elizabeth, PA in a family of thirteen brothers and sisters. As a young adult Paul served in the United States Navy from December 27, 1945 to November 12, 1947. He received a commendation letter from the President of the United States, Harry Truman, for his service to this country. On April 29, 1950, Paul and Lorraine (Dunbar) were united in holy matrimony, celebrating their 68th wedding anniversary this past April. Paul and Lorraine loved to bowl in their spare time. Bro. Paul retired as a Process Control Manager at Diamond Shamrock. After retiring and moving to Phoenix, AZ, he united with Murph Community AME Church in 1988. This was the first church he had attended, and he served the Lord faithfully doing all that he could with his many talents. 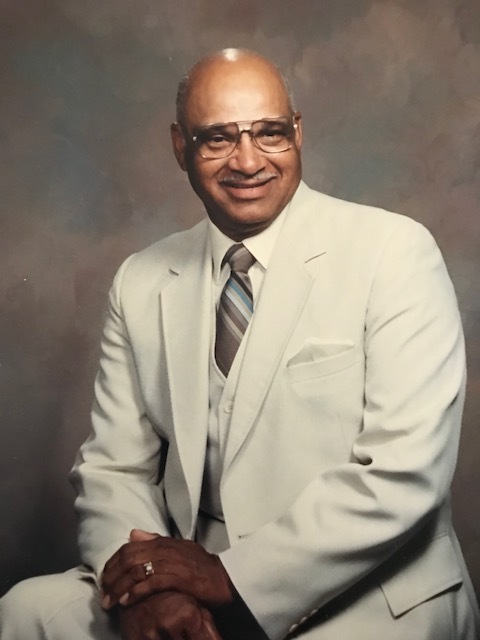 He served as a Trustee, Steward, Choir Member, and on the Finance Board. He was instrumental in helping the church acquire their first property at 4806 Indian School Rd. It was a house and Bro. Mathews helped convert it into a church with his excellent carpentry skills. He also helped them acquire the present location at 6702 N 67th Ave. and it continues to grow and flourish today. In September 2006, Bro. and Sis. Mathews united with Holy Trinity Community AME Church in Mesa, AZ. He was elected a Trustee and appointed a Steward, joined the choir and served on the Finance Committee. He took great pride in having a very manicured lawn in the front of Holy Trinity. He helped partially enclose the patio and added doors to it. He kept a strict ledger of all church expenses and was a stickler for details. Bro. Mathews was a great example of helping those who were destitute or unsaved. He had an evangelistic thrust wherever he went. Paul is survived by his wife, Lorraine Mathews of Mesa, AZ; two sons, Gregory Mathews of Manchester, NJ and Mark Mathews of Rex, GA; four grandchildren, Karima Zachery of Union, NJ, Omar Mathews of NJ, Fatima Mathews of Houston, TX, and Lateefah Mathews of GA; sisters, Thelma Runnerstrom of Arlington Heights, IL, Viola Grinage of Palm Springs, FL, Ruth Saunders of Elizabeth, PA, and Winona Womack of Harrisburg, PA; as well as great-grandchildren, sisters-in-law, nieces, nephews, cousins, and many friends. We were blessed to have known as wonderful a person as you. You will be missed rest in peace.